Cupid Is Not Dead! | Happy Valentine's Day! - Gateway to Canada | Canada Immigration Consultancy! Cupid Is Not Dead! | Happy Valentine's Day! 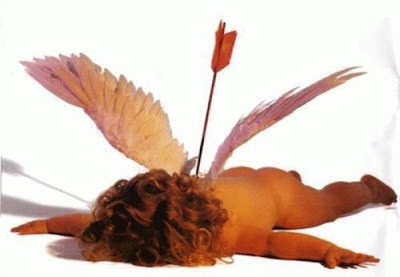 We at Gateway to Canada do not believe the rumor circulating in the Internet about Cupid's death. This picture of Cupid has been circulating in Facebook for quite a time now but as of this writing, authorities can't confirm his death. According to some experts, this image was photoshopped just like in the case Charice and Jinkee Pacquiao. If Cupid is not dead, this is good news for those planning to apply for permanent residence in Canada under the Federal Skilled Workers program. The current selection criteria gives additional points for your spouse's education under the adaptabilty factor using the points system. If you are looking for a spouse to get additional points, you still have a chance. Cupid is not dead! - You are in love with one another. - A desire to share your life with another. - To have a lifetime companion. - Willingness to help one another fulfill their own needs and dreams. Title * Mr. Ms. Mrs.
Stop Education Trafficking | Planning to Study in Canada? Read this first. The Visa Officer Rejected Her Application. What she did next is clever!